Although the Junkers Ju EF100 was originally begun as a trans-Atlantic airliner under the designation of EF53, for post WWII use, its design was changed to be a long range, maritime reconnaissance and bomber. 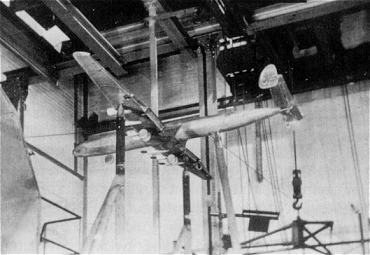 The aircraft was to be of all-metal construction, with the fuselage having a "double-circle" cross-section. 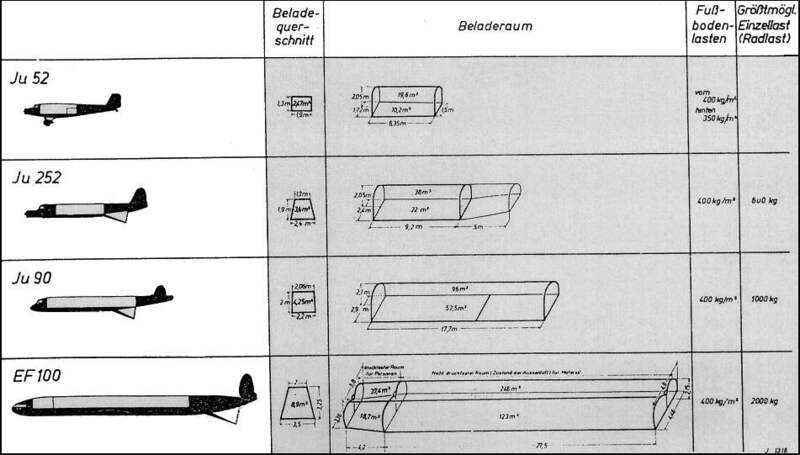 A loading ramp was located in the rear lower fuselage, such as the later Ju 252 and Ju 352 used. The wings were located low on the fuselage, and had six Jumo 223 Diesel 24-cylinder engines mounted on the wing leading edge. The tail unit was of a double fin and rudder layout, with the tailplane featuring considerable dihedral. A tricycle landing gear arrangement was chosen, with the main gear having double wheels. As a passenger plane, the Ju EF100 could carry a different amounts of passengers over varying ranges (see Performances table below). The military version could carry up to 5000 kg (11023 lbs) of bombs and an increased fuel load, and armament consisted of two FDL 151 Z gun turrets mounted above and behind the cockpit, and two additional 151 Z guns in a ventral gondola beneath the fuselage nose. 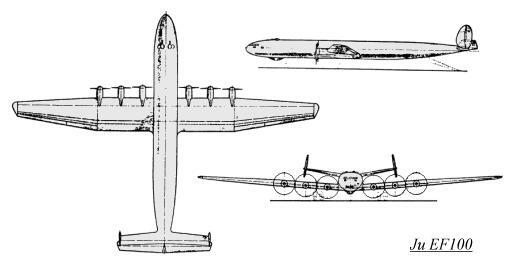 Because of the need for long-range maritime aircraft for the Atlantic U-Boat war, in 1942 the RLM urged Junkers to resume design and construction work on the EF100. All work ceased on the EF100 design at the end of 1942, for unknown reasons.